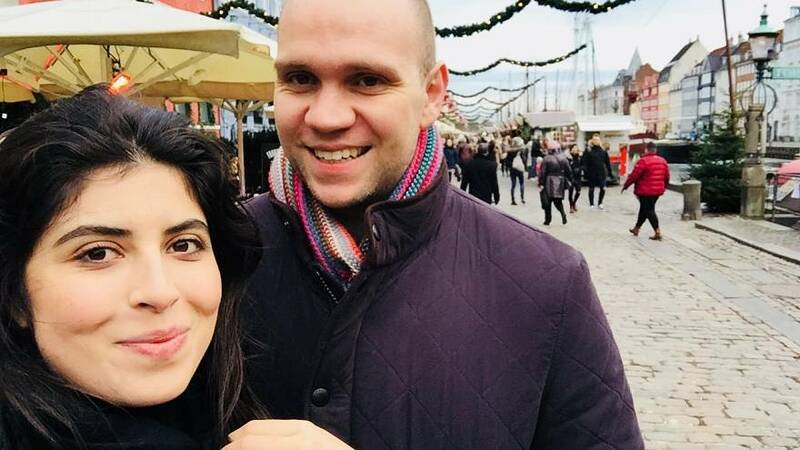 A United Arab Emirates court postponed hearing the case of Matthew Hedges — a British academic charged with espionage — until November 21 to re-examine evidence, said his wife in a statement. A PhD student at Durham University, Hedges, was arrested at the Dubai airport on May 5 and was charged with spying by the Gulf state last week. Since then, he's been kept in solitary confinement. The doctoral student made an appearance on Wednesday at a Federal Court of Appeal in Abu Dhabi, which agreed to review the evidence after Hedges' defence lawyer argued it came from publicly available information. The latest statement from the UAE, released by the Emirates News Agency, said that Hedges' welfare "had been appropriately maintained throughout the process" but his wife Daniela Tejeda refuted that. She told Euronews that the UAE statement was not "accurately" describing how her husband is being kept. "He has not had constant access to medical care, psychological treatment, or enough consular access," she said. The situation made Hedges "vomit on a daily basis"
Tejeda spoke to her husband last Sunday who told her his conditions had improved in the last few days. "He had been hospitalised and during his time at the hospital, he underwent a lot of tests to check his health. He said he’s back in solitary confinement but has a TV and finally got access to the books I sent him in July," said Tejeda. Hedges' wife also said that her husband had not had any form of distraction all this time apart sleeping and eating and that he "vomited on a daily basis for three and a half months due to anxiety." "This (the vomiting) changed only last week when I was told by Matt he was physically stopped from doing so." Tejeda said that Hedges' case had become a "state matter" the minute he was accused of spying for the British government by UAE authorities. "As a British citizen, the British government owes him that duty (to bring him home safely). They should make more arduous efforts to bring him back." She added the government hadn't done enough in that respect. In an updated statement, the foreign and commonwealth office said they were monitoring developments closely and had made the Emirati authorities aware of their concern for Hedges. According to Durham University's website, Hedges is a doctoral student in the School of Government and International Affairs whose research interests include civil-military relations, political economy, and tribalism. According to Tejeda, Hedges' research focused on the security strategy of the UAE after the Arab Spring.